[Q]. What are Doctors Forms ? [A]. When a cremation is chosen instead of burial, two doctors must attend and certify the death. The first doctor must be the doctor who attended the deceased during his/her last illness. The duty of the second doctor is essentially one of confirmation. This doctor must not be related to the first doctor either through family or practice. For this service, each doctor makes a separate charge, which we, the Funeral Directors initially pay on behalf of the family. These doctors fees are then added to the final invoice. [Q]. What do I need to take with me to the Registrars ? [Q]. What vehicles do Rosedale use ? [Q]. How many people can be seated in the Limousine ? [A]. Each limousine is licensed for six people in the rear compartment. [Q]. Where is the crematorium ? [A]. Eastbourne Crematorium is situated at Hide Hollow, Eastbourne. Full address details and a map can be found on Eastbourne Councils’ own website here. [Q]. How do we know what to do at the funeral ? [A]. On the day of the funeral the Funeral Director is there to help and guide you, your family and friends. If you are unsure of anything please tell the Funeral Director. [Q]. Can the family carry the coffin ? [A]. Yes, although we would ask that you contact us as soon as possible to ensure that it is safe to do so. [Q]. Can we have the deceased brought home ? [A]. 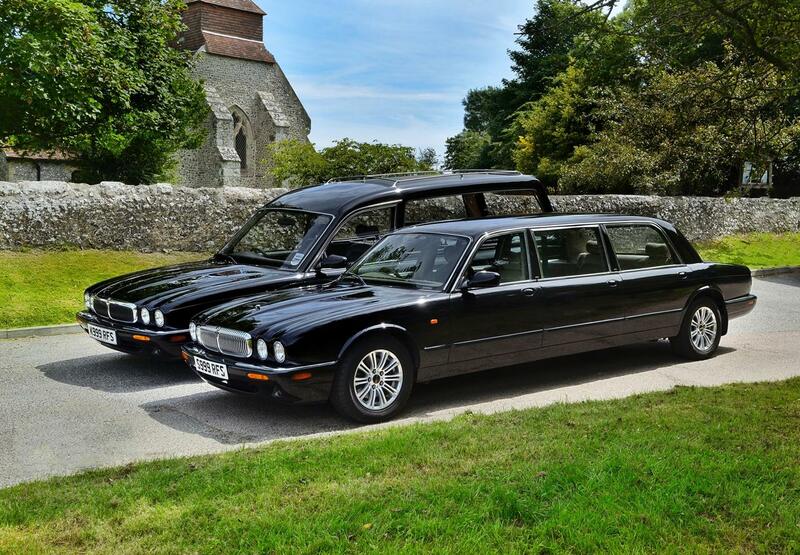 Yes, we can bring the deceased home either on the evening before the service or on the morning of the service, so the deceased can leave from home. [Q]. Can we choose what music is played at the Crematorium ? [A]. Yes. All the music played at Eastbourne Crematorium is downloaded in digital format and freely available, so you don’t have to worry about bringing CD’s, tapes etc. along with you. If there is a piece of music that isn’t available from their library, then you may bring your own music with you in any format, though due to copyright laws, original recordings only are allowed. [Q]. Can we request Donations to Charity ? [A]. Yes, if donations to charity are requested in lieu of flowers, we will accept and list donations on your behalf and forward them to the charity of your choice. [Q]. Does the Coffin move after the service at the Crematorium ? [A]. No, after the service has ended the coffin does not move until all the relatives and friends have left the Crematorium Chapel. At some Crematoria there are curtains that close at the head of the coffin, but this is only done at the family’s request. [Q]. Is each cremation carried out individually ? [A]. Yes. The identity of the coffin name plate is checked by the Crematorium Attendant before it is placed in the Crematorium Chamber. This only holds one coffin or casket at a time and again there are rules that must be abided by. [Q]. How will I know who attended the funeral ? [A]. A list of mourners who attended the funeral can be made, and written in a memorial book. [Q]. What about catering after the funeral ? [A]. We can recommend some local establishments that are able to cater for such events if you decide on a post funeral gathering. [Q]. When is the Funeral Account Payable ? [A]. The funeral account is sent to the person responsible for the arrangements or the solicitor, when necessary, about a week after the funeral. [Q]. How soon after a burial can I put a Headstone on the Grave ? [A]. If the grave is ‘earth’ rather than ‘bricked’ then the grave will take six months or more before the ground is firm enough to place the weight of a headstone. If the grave is ‘bricked’ inside, then it does not take as long.